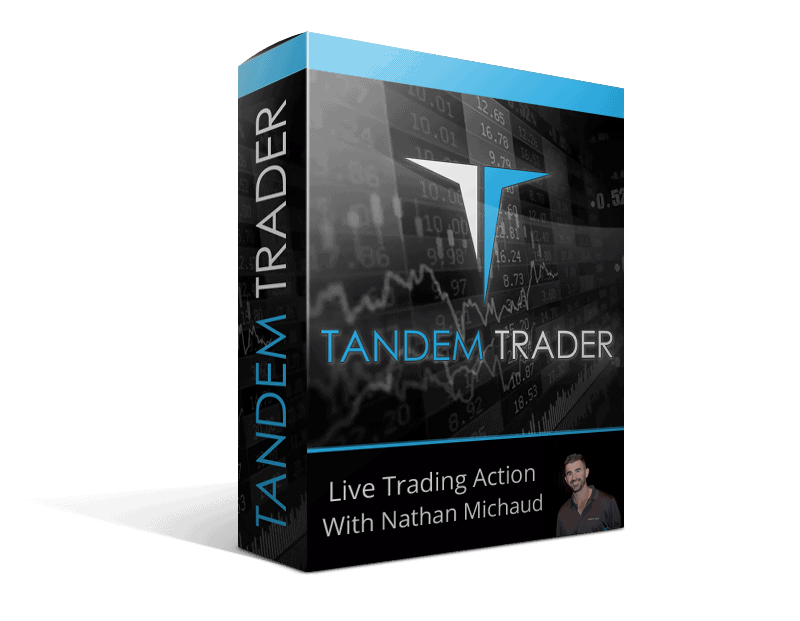 Tandem Trader Review - How Good Is Nathan's DVD Course? Trading the markets can be quite tough especially if you have no “behind the scenes” knowledge of the stock markets. However, it does not have to be that way if you have the right tools. Talking about the right tools, you’ve probably heard about the Tandem Trader DVD course by Investors Underground. If this is your first time learning about this product, it’s important to note that it’s a DVD course meant to inculcate profitable trading habits in anyone. It contains over 14-hours of live trading action, over 12 hours of content, level 2 analyses and much more. Therefore, regardless of your skill level or style of trading, this course will provide you with some great insights to take your success to the next level. Keep reading to find out what this day trading course has to offer. This is probably the most comprehensive day trading course available on the market. It is packed with profitable day-trading setups, up to 12-hours of content and tick-by-tick commentary on real trades. Compared to other trading courses, this DVD course by Investors Underground desists from dealing with complex theories, hindsight analysis or strategies that hardly work. Instead, you’ll get to experience the live-trading action from a professional trader with more than 10 years of experience of trading the market. For ease of understanding, the course is divided into 10 major chapters with each chapter covering a different aspect of trading. Let’s take a look at what each chapter of the course entails. In this part of the course, you will come across how Nate started out, his struggles as well as his successes as a trader. In addition to this, you will discover the strategies that Nate undertook in order to be a consistently profitable trader. As the name suggests, this chapter covers different concepts of trading such as trading rules and basic philosophies. It discusses what stocks to trade, how to control your emotions when trading and the drawbacks of over trading. All these strategies will help you become a successful trader in the end. This chapter will help you dive into the live action. It includes top chart patterns that will enable you to master sell high and buy low trades as well as detailed real trade examples. So make sure to pay attention to this chapter. Inside this chapter, you will discover the different parabolic short setups, how to easily spot them and the best time to take a short position. As it turns out, you can actually make good money in case a certain stock drops in price when you least expected. Although parabolic shorts do offer excellent trading opportunities, you don’t necessarily have to wait for a stock to shoot up prior to commencing a short position. Therefore, this chapter reveals other common short opportunities you can take advantage of including late day faders. This is yet another chapter to really pay attention to and have it hammered into your brain because trading penny stocks are quite dangerous. The chapter covers the ins and outs of the OTC markets in details so you can have an easy time navigating the market. It includes live recordings of actual trades which makes everything in this chapter practical. Level 2 screens is an essential trading tool, especially when utilized alongside charts. Having access to level 2 screens provides traders with an extra layer of insight into the demand and supply of the stock markets. Basically, this chapter teaches you how to read and even interpret Level 2 screens correctly and effortlessly. In addition to this, you will discover what float rotation is and how it can cause extensive stock breakouts. With so many stocks available, it is never an easy task to find the right and profitable stocks to trade especially if you are a day trader. It does not matter whether you are a beginner or an avid trader. While the Investors Underground does provide quality watch lists for its members, it is always good to learn how to create your own watch lists. This chapter, therefore, will help you learn how you can scan for profitable stocks by explaining how they create theirs. Honestly speaking, there are so many trading tools available for day traders to choose from including brokers and charting software. So if you are not aware of the best tools to select, you can end up being frustrated as a trader. Inside this part of the course, you will find tips and tricks to help you choose the right charting platforms and brokers so you can become a successful day trader. The chapter includes one-on-one interviews with popular and successful day traders. In the interviews, the traders discuss some of the mistakes they made, how they were introduced to stock trading and some of the strategies that have helped them become successful traders. 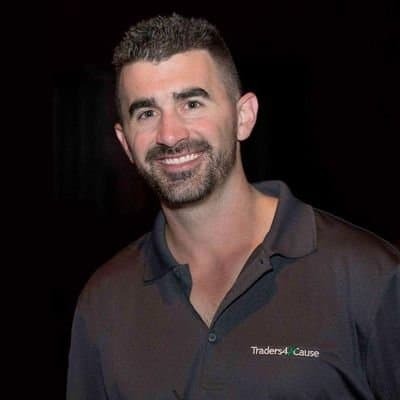 Who Is Behind The Tandem Trader Course? The course is by Investors Underground, one of the most popular day trading community and education service. Apparently, the company provides two trading courses including Textbook Trading and Tandem Trader to get both new and advanced traders accustomed to the market. Besides, the company was launched by Nathan Michaud, a well-known trader that trades different types of stocks. Nathan has been trading stocks since 2003 but he actually went full-time in 2007. This is after graduating with a degree in finance. He founded the InvestorsLive.com website in 2004 which is currently the Investors Underground. Nathan is known to have a great feel for the markets which have seen him play both sides of the market including long and short. His presence on Twitter is quite noticeable and his handle is @InvestorsLive. One of the key benefits is the fact that you can watch this DVD course on any device in the comfort of your own home or simply on-the-go. Immediately after making the purchase, you get instant streaming access to the course. The course allows you to watch every trade Nathan makes live as well as his every move. This will help you understand a trade from entry to exit to help you trade profitably consistently. In his live trade analysis, Nathan deconstructs the mechanisms of successful intraday moves, long trades, swing trades and short trades. This DVD course outlines some of the basic trading strategies as well as chart patterns that have the potential to convert into actionable market concepts. So whether or not you have a great understanding of how the stock market works, you will find these trading concepts invaluable. In the chart analyses, you will come across different setups including ABCD charts. The charts are quite detailed and allow you to learn about the strategies as well as see them implemented live. In return, you will get the clarity you need in order to start taking action right away. The course is available in three packages to choose from. Although the course is relatively expensive, it does provide value for money in the long run. The first package consists of only the Tandem Trader DVD and goes for around $1297. It allows for instant streaming access immediately after placing your order. Next up, we have the three-month membership plan that only costs $1497. This plan comprises of a DVD course for Tandem Trader and Textbook Trading. You will also get a three-month subscription to Investors Underground Elite. Last but not least, there is the one-year membership plan that only goes for $1997. With this plan, you will have access to the Tandem Trader and Textbook Trading DVD course and a whole one-year subscription to the Investors Underground Elite. Who Is The Course Best For? This DVD course is best suited for traders who have a decent knowledge of the market. If you have never traded before but are thinking about trying out day trading, this is also a great course. Nathan walks you through each of the trades he makes live which make the course more practical. In addition to this, if you are looking for a mentor so you can become a better day trader, we would recommend you try the Tandem Trader course. Even more experienced and successful traders will find this course helpful. If you want to day trade or are a swing trader looking to make better entries, the Tandem Trader course is exactly what you need. Of course, it won’t make you a profitable and successful trader overnight, but it does contain some great trading concepts to help improve your skills. Whether you are a novice or intermediate trader, there is a lot to learn from the DVD.